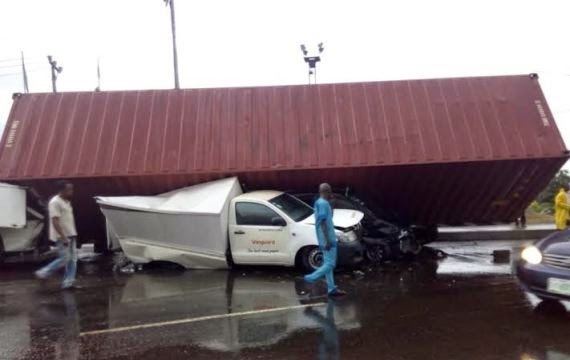 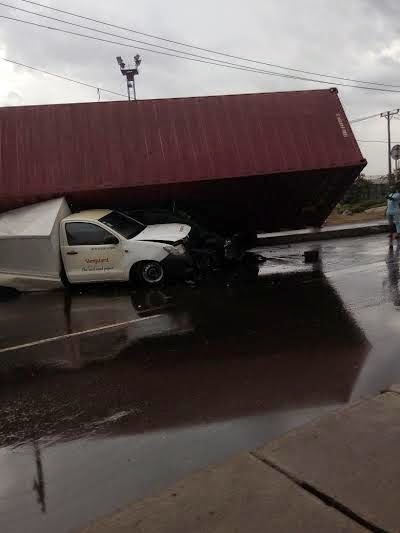 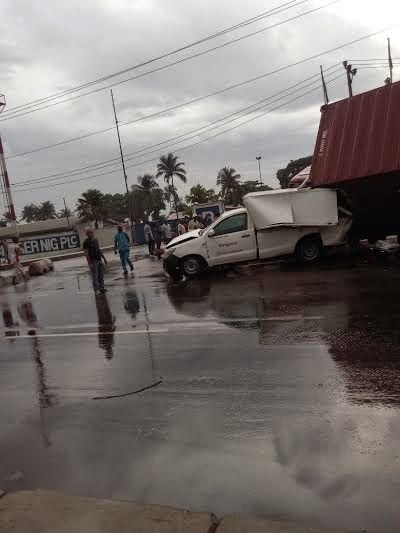 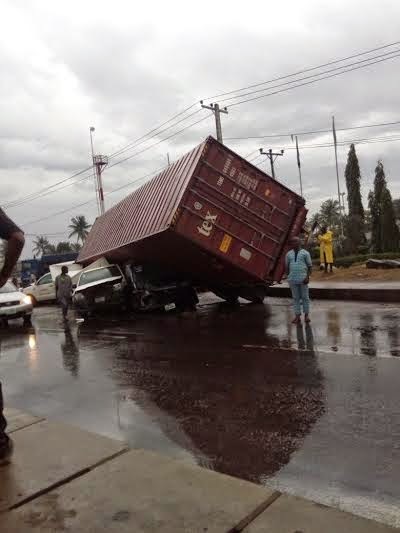 Less than one week after a truck carrying container from Tincan Island crushed a woman to death at the Berger Yard bus stop on Apapa Oshodi Expressway, another disaster has been reported there. 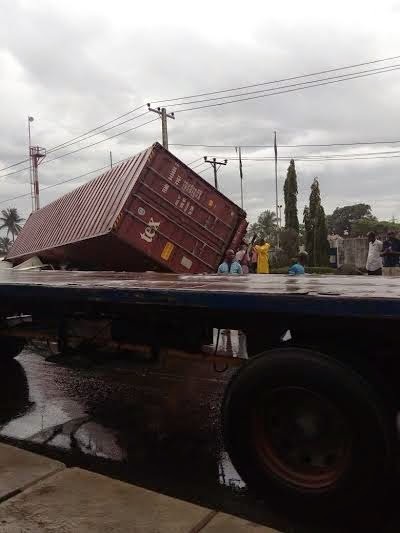 On Thursday morning, a heavy container being taken to Berger Yard from Tin can Island fell off the truck before reaching the yard crushing about 2 cars. 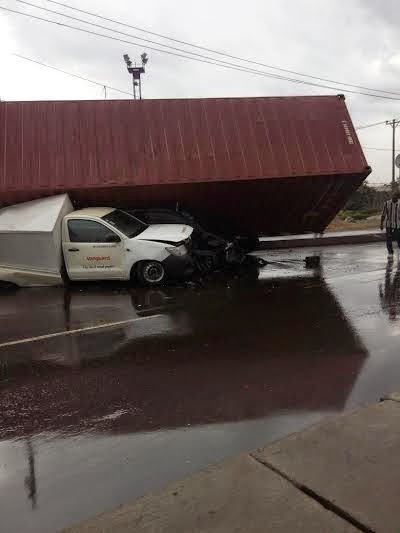 Motorists should exercise caution when sharing the roads with these heavy containers. 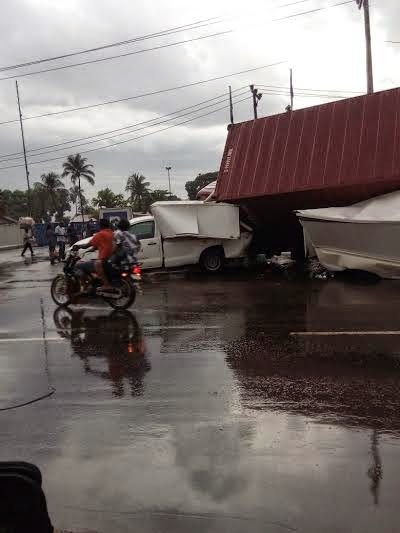 Lagos State Government should place special restriction on them to avoid this from reoccurring in the future. 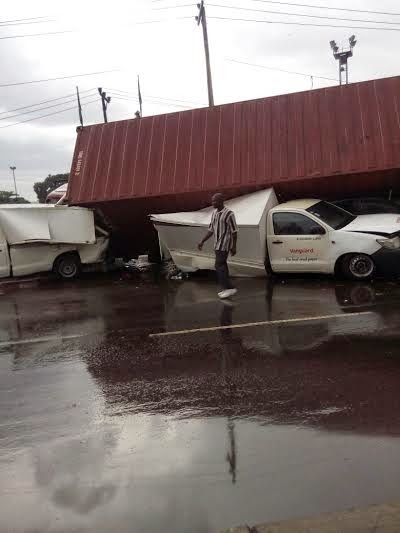 They should either assign a special lane to them or restrict their travel times. Hah! 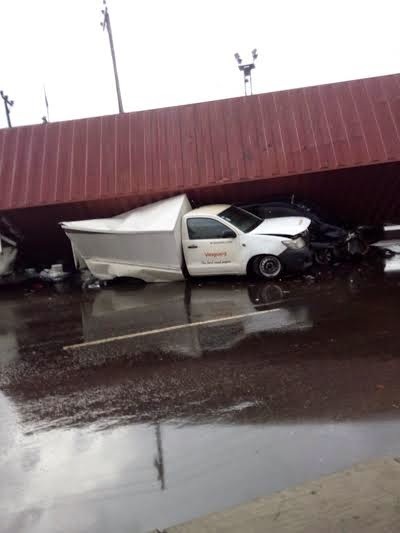 I hope nobody died?